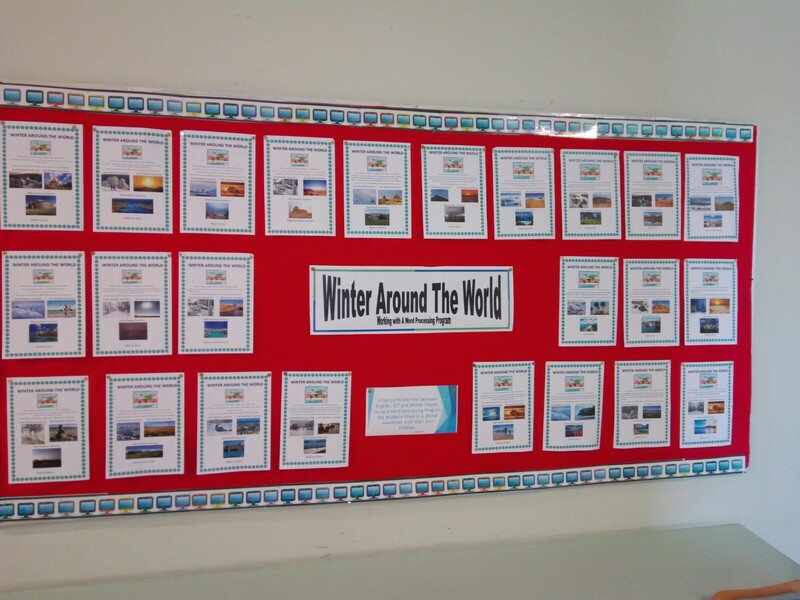 During this lesson the Grade 4 students became aware of the different climate conditions around the world. 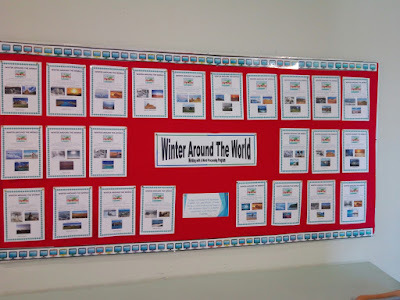 We focused on Winter time. 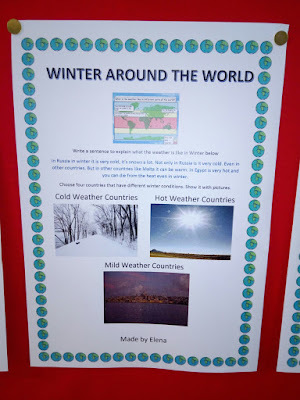 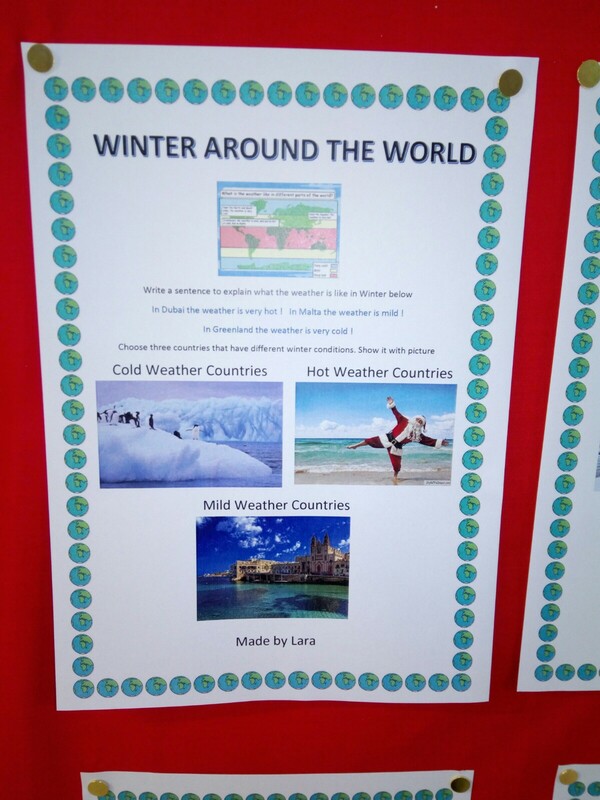 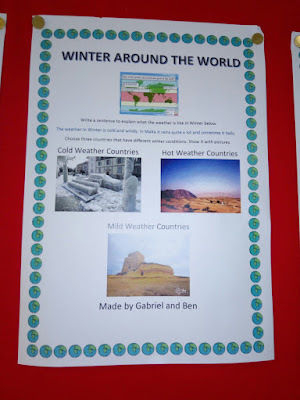 They wrote about Winter around the world and added pictures to explain their explanation. This was linked to the theme of Winter they were doing in class. 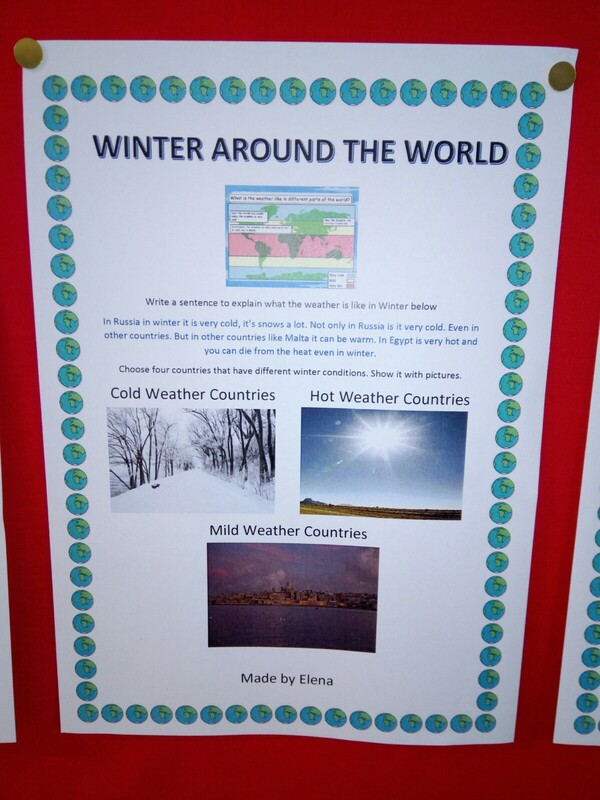 They have to combine both the text and the image in one document to explain this. They searched for Online pictures to present an attractive document.